This complex is a 5 minute drive from Launceston's CBD set in a quiet location close to the maritime college and university, on two hectares of land. Motel units are available as well as self contained 1, 2 & 3 bedroom apartments. The hotel is an excellent base from which to explore the Tamar Valley with its many attractions. Alanvale Apartments & Motor Inn include 36 self-contained apartments, 12 standard guestrooms and a disabled facility room. The guestrooms are equipped with en suite bathrooms. The accommodation attracts a three and a half star rating. 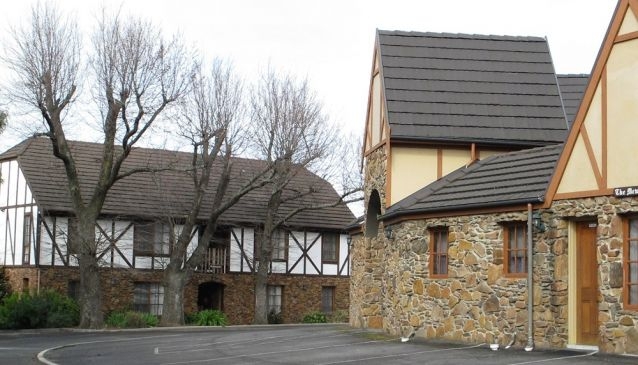 Built to resemble a Tudor village, the Alanvale Apartments & Motor Inn has a bistro that serves a continental breakfast in addition to regular meals. There is plenty of parking.